For the Tagada Jones's 25th birthday, Sick Of It All will be present on Saturday 13th of april. Le Nouvel Album de Sick Of It All is out now!! 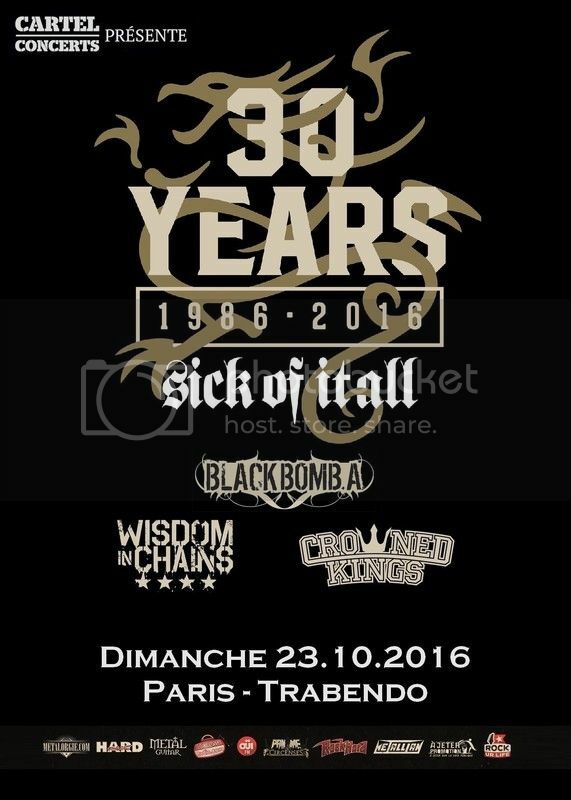 Sick Of It All "France Record Release Tour 2018"
The tour of SICK OF IT ALL starts Saturday with bonus TAGADA JONES on 6 gigs! !